Latency has been identified as a major bottleneck for usability of human-system interaction devices. However, the theoretical basis of the effect of latency on action control mechanisms remains weak. 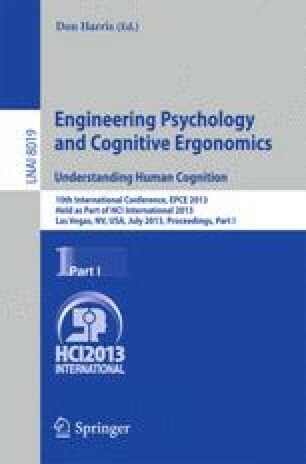 In this study, we aimed to investigate the cognitive implications of latency for Human-Computer Interaction. We proposed models of agency (i.e., mechanism underlying the feeling of control) as a possible interpretative framework on the nature of the transformation induced by latency. In a series of 3 experiments, we propose to tackle this problem by (1) characterizing the effects (performance and agency) of transmission delays on UAS camera control, and (2) designing and evaluating HMI solutions to mitigate these effects with regard to the agency principle. Our results showed that (1) latency decreases sense of agency and human performance, (2) models of agency could provide HMI solution for latency compensation. Interests of agentive experience accounts for better system design are discussed.